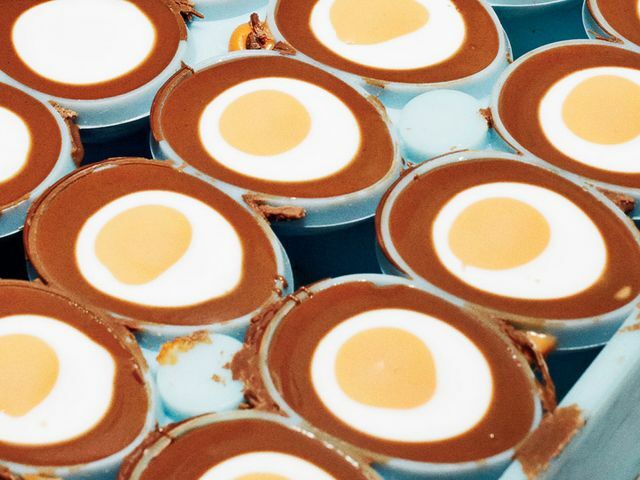 Candy company Mondelēz International only sells Cadbury Créme Eggs from January through Easter, but its factories fill chocolate shells with gooey cream 364 days a year. It’s the only way to ensure 350 million eggcellent candies are ready for their plastic-grass-lined baskets. Easter shift manager (his actual title) Charles McDonald shows us how the Cadbury factory in Birmingham, England, achieves candy magic, ova and ova.